​Holy Trinity will celebrate 150 years on Saturday, July 29, 2017. There will be a Celebration of the Holy Eucharist at 11:00 a.m. with Bishop Matthew Gunter presiding. This will be followed by a picnic celebration and neighborhood block party with live music and children's activities. All are invited to help celebrate. 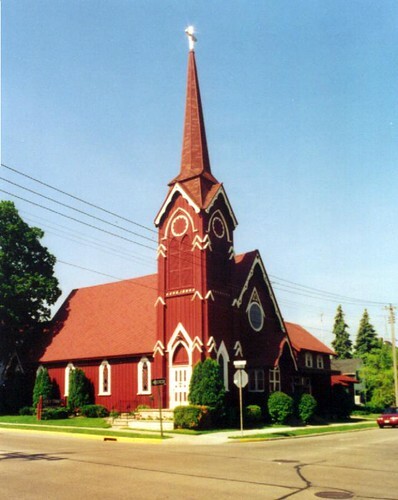 Holy Trinity Episcopal Church is a mission congregation of the Diocese of Fond du Lac. The congregation was organized in 1867 shortly after services started and a visit from Bishop Jackson Kemper. The Vicar of the mission congregation is the Rev. Monica Burkert-Brist. The Rev. Dcn. Susan Burman has been assigned by the Bishop of Fond du Lac to serve as Deacon.